•Provide a safe, cozy place that she can call her own and sleep in at night. •Gives you a safe way to transport your dog and travel with her to hotels, to friends’ homes, when on vacation, etc. •Helpful when introducing a new dog into your household. •Used to efficiently house train your dog and prevent her from being destructive. 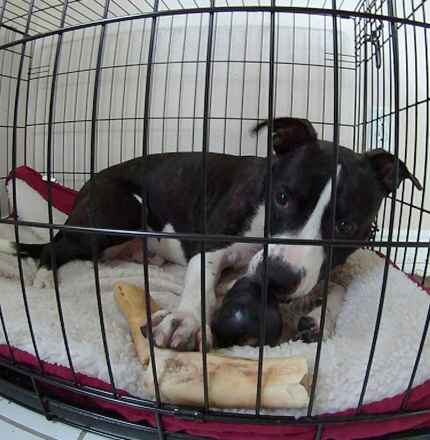 How does Using a Crate to Prevent Destructive Behavior? •Dogs and puppies urge to rip up the toilet paper and run down the hall, chewing up cushions, stealing garbage may be too strong when left unattended, so the crate lets you know they are safe. When you are able to train them in an hour again, this helps them stay out of trouble. How Long should you Crate Your Dog? •When crating a puppy they may only be in the crate for 15 seconds at first. Go slowly. • Putting a pet in the crate and going to work all day- is not crate training. This is caging your pet. 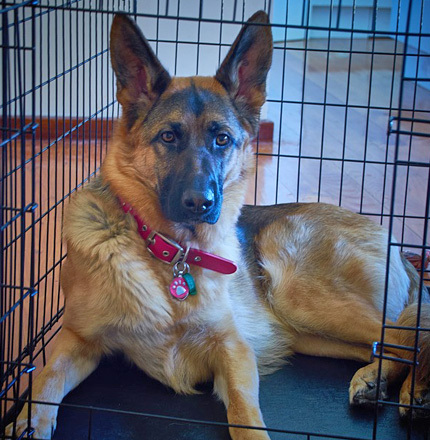 A lot of pets get separation anxiety when just put in the crate and left for 8-10 hrs a day. The only time they are put in the crate is when my family is leaving me. When should you NOT to Use a Crate? •Some dogs don’t tolerate crating well due to other types of fears or anxieties, like claustrophobia. Don’t crate your dog if you see signs of anxiety when she’s crated. Talk to your Veterinarian about how to help your pet. This is a real fear. What Are The Steps to Crate Train Your Dog? •Feed a dog his meals in the crate. •Begin increasing the door-closed crate time. Lastly, tips what not to do? •Do not use a crate to contain your dog simply because she’s a nuisance and requires attention. •Do not put your dog in her crate to punish her. If you do, she’ll probably come to dislike the crate.